In the retail industry image and product is the business. At TORO we are aware that protecting your brand, reputation and facility is very important. Due to a high volume of shoppers and deliveries. 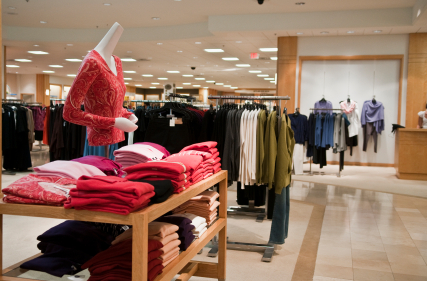 Retail locations are prone to have pest infestations. We currently service many famous brand name stores and understand that working with the store manager to solve a pest problem fast and efficient is required. Our professionals currently service a wide array of retail stores and malls. Our professional exterminators are committed to excellence and offer customized pest control services for your location. To enjoy professional services, you will of course need to look for the best commercial pest control companies. This means taking several things into considerations. What should you look for in a good commercial pest control company? The experience and reputation your pest control company has will greatly determine the delivery of services and effectiveness of the solutions offered. Toro Pest Control Management has been offering pest control services since 1969 and you therefore know you can fully trust in the services it offers. When looking for a good company, the kind of commercial pest control services offered are important to remember. Whereas some companies are only concerned with getting rid of the current pests, some very good companies will offer you much more than that. Good companies like Toro offer pest control, treatment and protection services. Apart from having no pests to worry about, you will also be given advice on measures to help keep them at bay in the future and actually enjoy protective services that will control pest entries into the mall or retail store. Some companies deal with specific pests while others will handle practically any pest that is intruding your business premises. Find out what pests your preferred company manages and match them with your needs. Toro Pest Control Management will control any pest that is attacking your space including rats, mice, roaches and flies among other pests. A good company will definitely know the best commercial pest control products to use to give you good results with the elimination. It helps to look at what strategies your control company puts in place to ensure a good job is done. With years of experience, Toro knows all the best pest products and techniques to deal with your pests effectively. Just like getting any other service, it helps to know that you can count on good results. This is exactly what your company should give to you when you have hired its services. Fortunately, if you are working with Toro professionals, you can be sure to enjoy only good results. In case the pests come back, the pros will offer the services again at no cost at all. They also respond fastest and put in protective measures to keep the pests from recurring in your mall or retail store. Our technician will service your premises to check Insect Monitors, Rodent bait stations, inspect for signs of pest activity, perform an exterior perimeter barrier treatment around the building to stop pest from coming in. We will also identify potential risks and advise your on steps that help prevent future pest problems. If the bugs come back, so will TORO at no additional cost to you. TORO will respond with in 24 hours Guaranteed. Our technician will arrive quickly and deal with the pest problem to prevent recurrence.